I’m not sure when or why or how the Elf on the Shelf became so popular & developed into such a production. All I know is that I’m opposed to it for many reasons, many of which are outlined in this this blog by Ann Marie Heasley that someone shared with me via Facebook last year. I agree. I am too tired & busy & forgetful to hide an elf a new place every night. However Jacob has started talking about elves on shelves & asking why we don’t have one. He has been begging for one. Apparently he is the only kid in second grade that doesn’t have one. Unfortunately I can’t have him read the above post. Not because he can’t read, but because it would ruin Christmas for him. My precious, innocent Jacob still believes whole-heatedly in Santa. If he knew that moms move elves he would start to wonder what else moms do. My Beloved Son, We don’t do Elf on the Shelf. Not because I don’t love you. Not because I want you to be the weird one at school. Not because I want you to feel left out. No. None of those reasons. We don’t do Elf on the a Shelf because I do love you so very much. I love you so much I want what’s best for you – eternally. I love you so much I don’t want you to be left out of that heavenly party. That’s why it’s my job to teach you all about God and his love for us and Jesus and the reason for the Christmas season. Christmas is about getting. But not about getting toy presents like you hinted at in your answer. Christmas is about getting Jesus as our Savior and Redeemer (when He died on the cross for us). Christmas is about getting Jesus as the Incarnation, God-made-man, Emmanuel. Christmas is about getting Jesus as our best friend – he was a boy so he knows everything you are going through, but he’s also God so he has the power to do something about it. Christmas, and all of life, is about Jesus. But the Elf on the Shelf won’t teach you that, so we don’t have him. But we do have other special Advent traditions that hopefully will teach you that it’s all about Jesus. 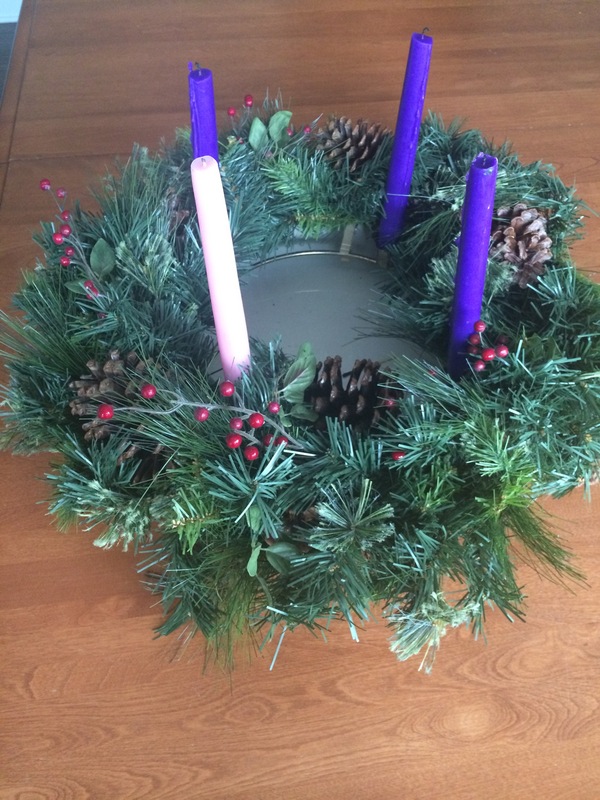 We do our Advent wreath each night. I love hearing you kids sing “O come, O come, Emmanuel” even little Judy is trying to sing it this year. Also this year we are doing Holy Heroes Advent Adventure with a book of activities I bought for you to help you learn our faith. In the past we made Jesse Trees. We decorate with Nativity scenes instead of Santas to remind us of what this season is truly about. When your dad and I married we had 4 different Nativity scenes! And to add a bit of fun we have the Advent calendars Grammie gets you each year that give you a piece of chocolate each day. See? We do want you to have fun and enjoy the season. We are eagerly awaiting the coming of Christ, his first in Bethlehem and his second at the end of days. I love you, Jacob. Merry Christmas!